Hypertension (high blood pressure) can affect people of all ages, but becomes more common with increasing age. Uncontrolled hypertension increases the risk of developing heart disease, strokes, bleeding, disease of major blood vessels and kidney failure. Identifying high blood pressure is often straightforward, but many people do not present to their doctor, as they do not experience symptoms. Early identification is important, so that treatment can be initiated to decrease future risk. Ideally this should be through screening, so that high blood pressure can be treated before any adverse effects have developed. Many people present later to their doctor, with symptoms secondary to either persistent or very high blood pressure. This may be due to headaches or blurred vision when particularly high, however blood pressure can commonly cause exertional shortness of breath and sometimes anginal chest tightness. It is a common cause of abnormal heart rhythms and palpitations including atrial fibrillation. Many cases of high blood pressure are diagnosed following presentation to hospital following a stroke, heart attack or the development of peripheral vascular disease with exertional discomfort in the legs. Why might high blood pressure be difficult to diagnose? 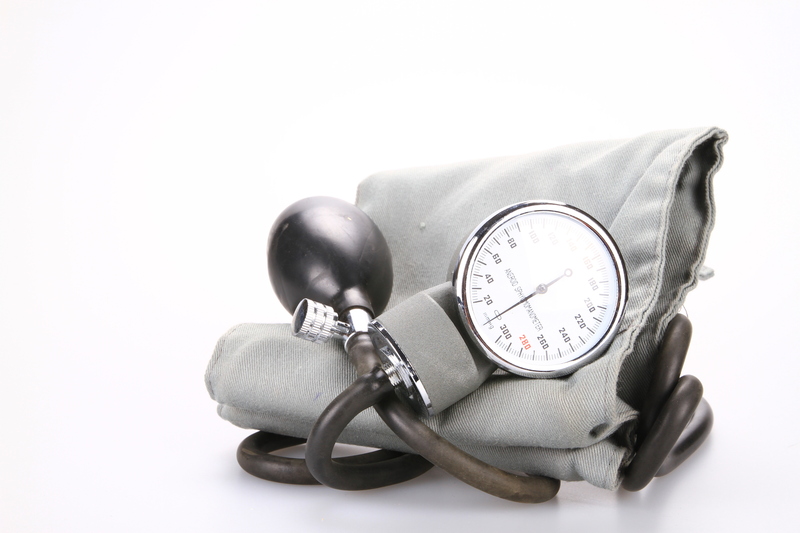 The identification of high blood pressure begins with measuring resting blood pressure at the doctors. This is a useful baseline test but it does have limitations. The measurements taken in the consultation room can be un-representatively high in some people, due to the stress of the situation and may not reflect usual daily blood pressure. This observation is often called white coat hypertension. Despite clinic room blood pressure measurements being artificially high in some circumstances, they can also be un-representatively low in others. High blood pressure is often episodic, occurring at different times and places, including non clinical situations such as the workplace. Standard blood pressure measurements are normally taken at rest, during the day and so give little information about the blood pressure response to exercise, nor what the blood pressure is like at night. What additional investigation may be of help? There are various tests that can be performed to aid the diagnosis. These may involve 24 hour home monitoring and exercise testing where blood pressure can be measured in different settings (please see investigation section). Additional tests such as an ECG (heart tracing) and echocardiogram (cardiac ultrasound) can provide useful information, to confirm whether there has been any enlargement of the heart muscle, secondary to long standing high blood pressure. Blood tests can identify whether the kidneys and other organs have been affected, along with identifying underlying treatable conditions that may be the cause of high blood pressure. A range of treatments exist for high blood pressure that should be tailored to the individual. These may include lifestyle changes including salt restriction, weight reduction, dietary changes, exercise and stopping smoking. A variety of different medications are available if needed, although most cases of high blood pressure can be managed as an outpatient without the need for hospital admission.